This is it. 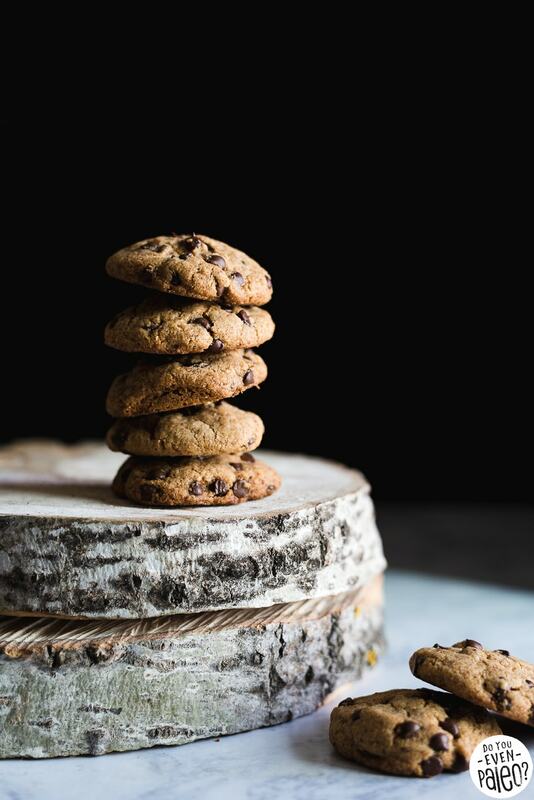 It’s only March, but these Tahini Chocolate Chip Cookies are my dessert of the year. 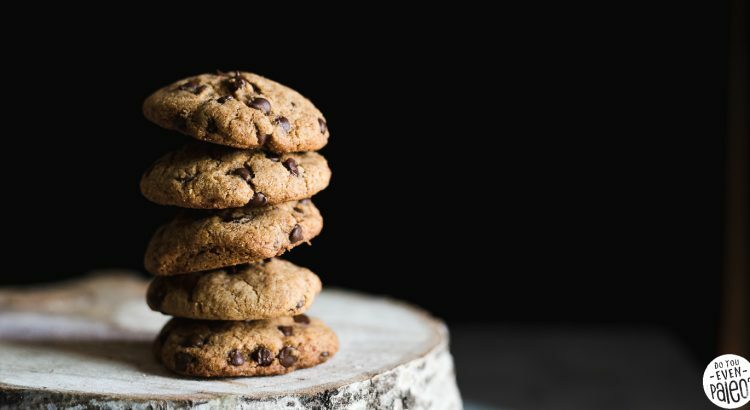 If you love tahini and you’ve never had it in chocolate chip cookie form, drop everything you’re doing right now and make this recipe. These cookies are phenomenal. 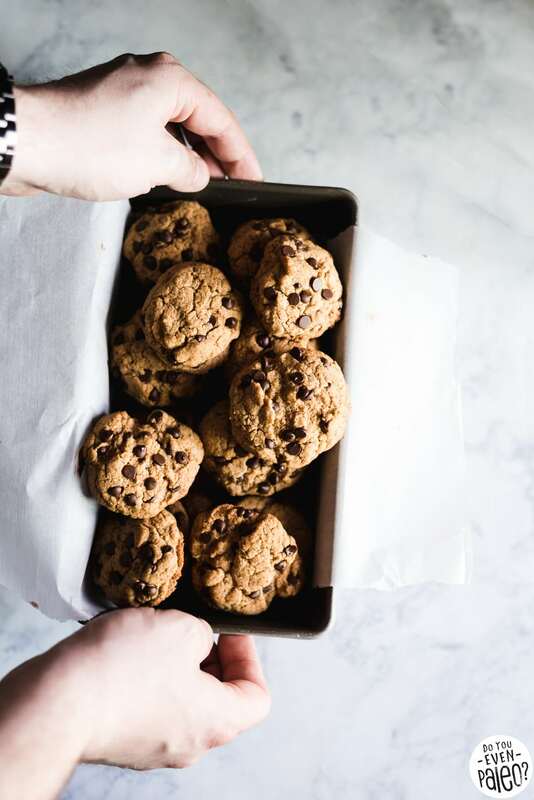 Typically, I’m a little more humble about my baking prowess, but these paleo tahini chocolate chip cookies may seriously take the cake for my favorite cookie of all time. Sesame truly belongs in more desserts. I’ve been a fan of sesame since I was a kid. Strangely, my Midwestern, mostly German-Russian father always (and I mean always) had a hefty bar of halvah in the fridge. When he was in the mood for a sweet treat, he’d slice a piece off and enjoy that. My dad wasn’t really a sweets kind of guy, so I was understandably intrigued about what made halvah worthy in his eyes. When he finally let me try some, fully expecting that I would hate it, the opposite happened. I was hooked. And suddenly my dad wasn’t too pleased that his bar of halvah would disappear in a matter of days. So even before I started cooking and baking with tahini (sesame seed paste) a few years ago, I knew I would adore the flavor. I swear I mention it in every recipe using tahini, but it’s got such a unique flavor. Eventually, I stumbled upon this recipe by Danielle Oron on Food52 and I immediately set out making a paleo version. After a number of tests and a couple of swaps, I hit on a version I loved. 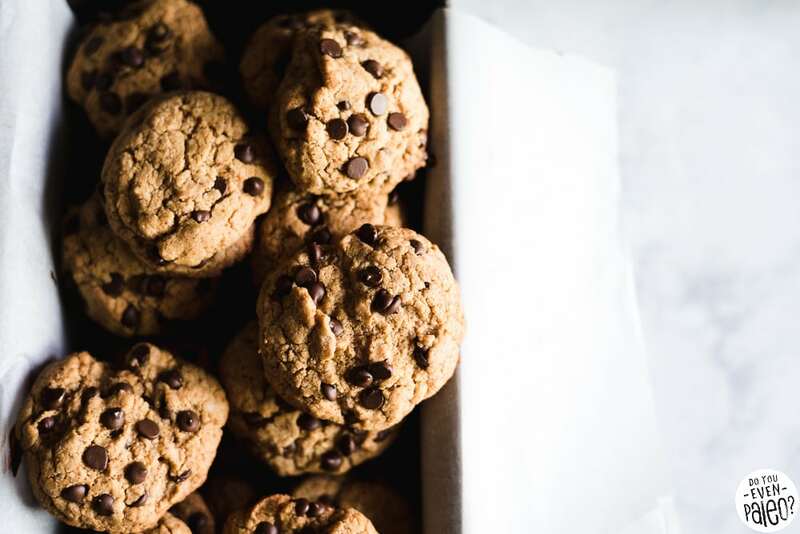 Cassava flour, coconut sugar, and Enjoy Life chocolate chips make these tahini chocolate chip cookies happen. Each cookie is crisp and crunchy. Maybe someday I’ll try to develop a soft and chewy version, but for now we’ve got these. 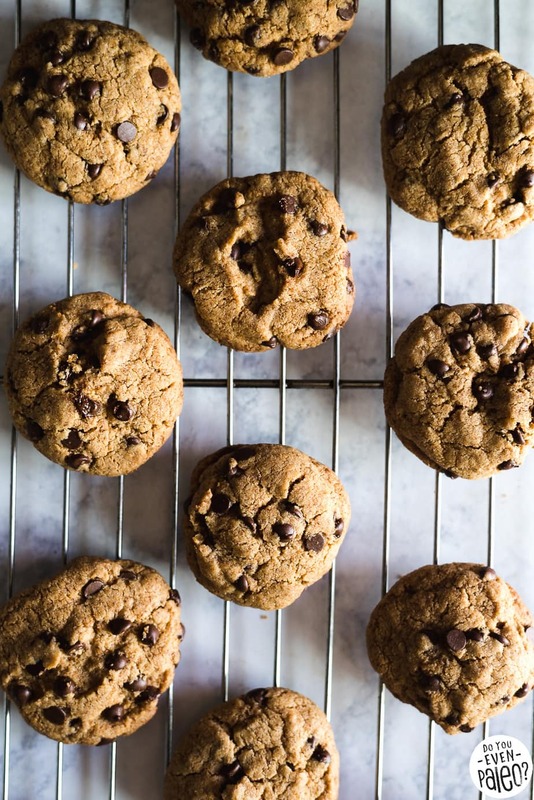 Honestly, with tahini, I think crunchy cookies are the perfect result. In a large bowl, add the butter, tahini, coconut sugar. Beat with an electric mixer until light and smooth. Add the egg, egg yolk, and vanilla extract and continue beating until smooth. Whisk the cassava flour, baking soda, baking powder, and salt together. Mix until just combined. Use a spoon or ice cream scoop to portion out roughly 12 dough balls. Line a baking sheet with parchment paper and space the dough balls 3 inches apart on the baking sheet. Bake for 15 minutes. Let cool before eating. I know, it’s hard, but so worth it! These cookies are really good! My daughters and I love them. I’ve made them a number of times now. I normally double the recipe (and freeze most of the cookies). The only changes I’ve made are: when I double the recipe, I use 3 whole eggs (rather than 2 eggs and 2 yolks), I use chopped 90% Lindt chocolate and halve the salt (my celtic sea salt is very strong). When I bake them for less time, they come out chewy/soft rather than crunchy. (I’ve tried using Sunbutter instead of the tahini, but the taste and texture is much better with the tahini.) 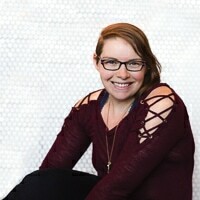 Thanks Chelsea for such a great recipe!! I’m glad you enjoy the recipe, Helen! 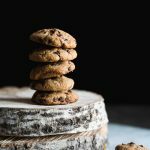 I’m going to have to try out your adjustments – sometimes a soft & chewy cookie are more in line with what I’m craving! Don't subscribe All Replies to my comments Notify me of followup comments via e-mail. 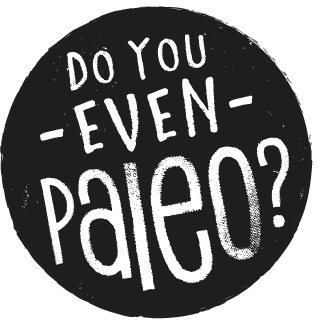 You can also <a href='https://www.doyouevenpaleo.net/comment-subscriptions/?srp=3842&srk=87505361eee98908ddf6ccb8681f50d6&sra=s&srsrc=f'>subscribe</a> without commenting.